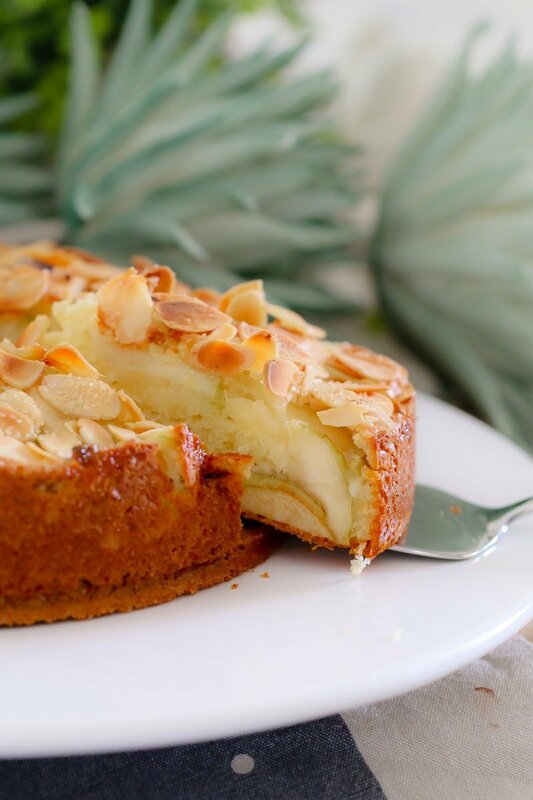 If you’re looking for an easy apple cake recipe… look no further! 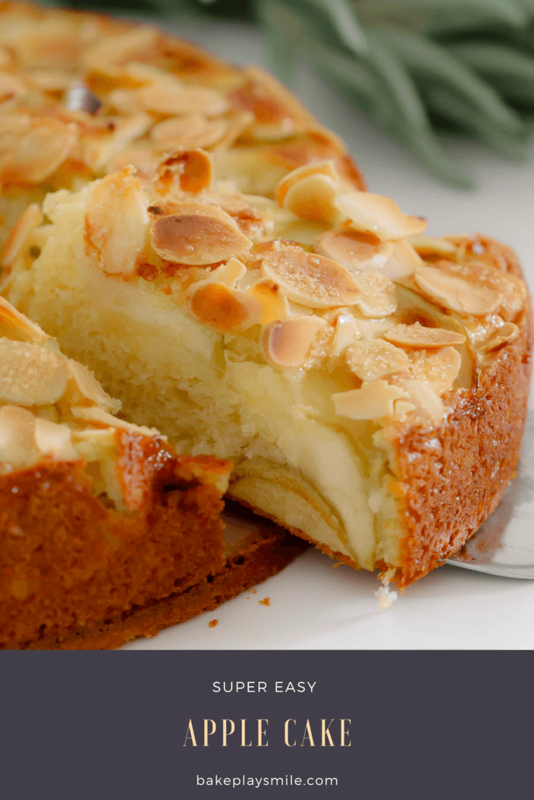 This one is a classic butter cake, layered with apple slices and topped with flaked almonds. YUM! Do you know what I absolutely love? Really simple recipes that taste great! Yep, when it comes to baking, I am sooo not a fancy girl at all, I just love the classic, yummy and easy recipes. 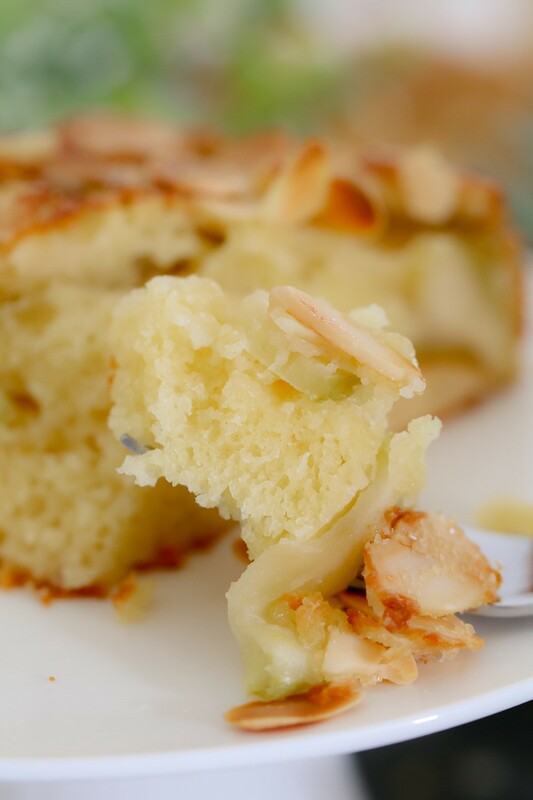 And this easy apple cake is all of those things! 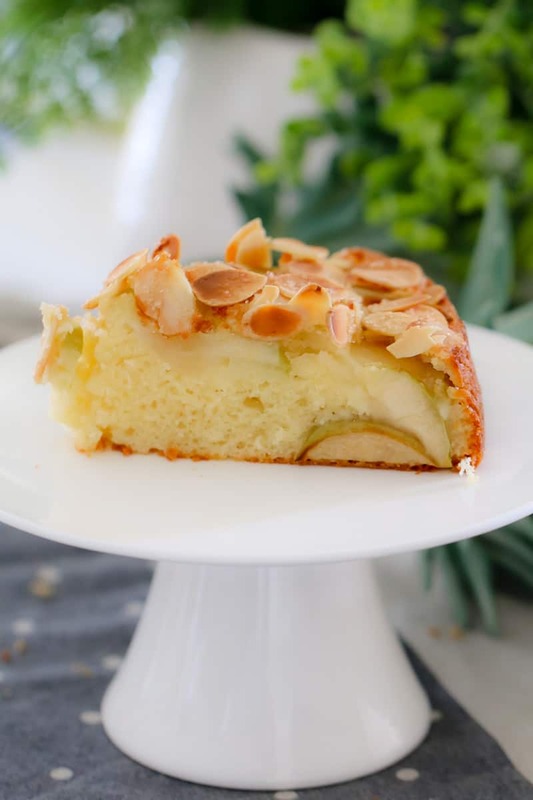 This easy apple cake is made from a basic butter cake recipe with layers of thinly sliced apple throughout. 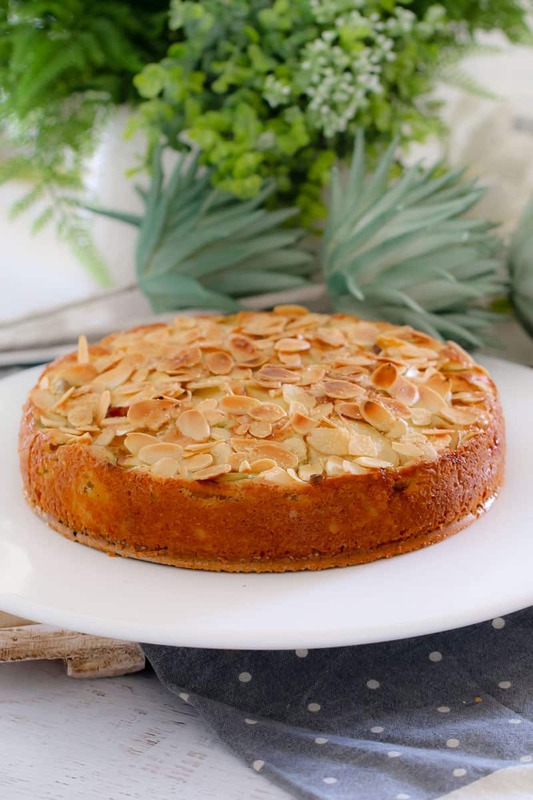 It’s the perfect cake for a special morning or afternoon tea, fundraiser… or really just for whenever the cake cravings come calling (which happens to me a LOT!). You can serve this cake either at room temperature or warmed up slightly with some cream, custard or ice-cream. It’s the most versatile cake! You can switch the apples for sliced pears, peaches or even use berries instead. I made this easy apple cake with my little helper – he was pretty excited to pick the apples off our tree! 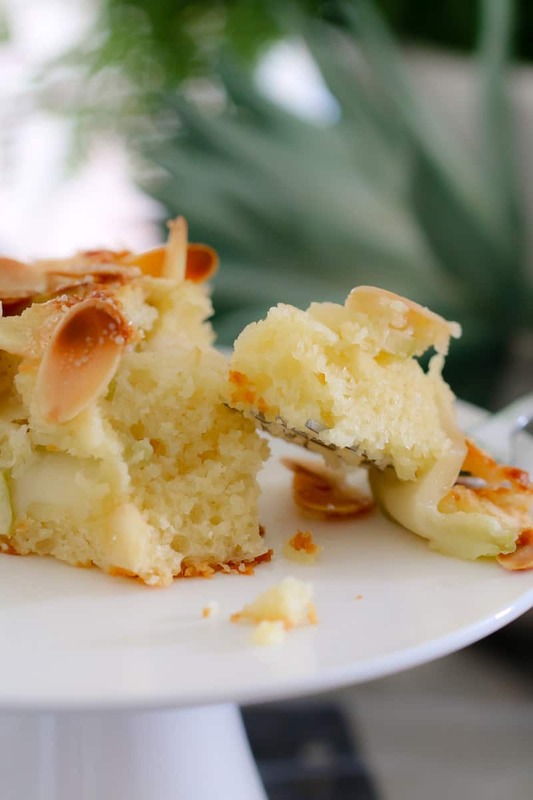 And then his job was to add the apple slices in layers throughout the cake… but let’s just say my toddler apprentice ate more of the apple slices than he put into the cake! 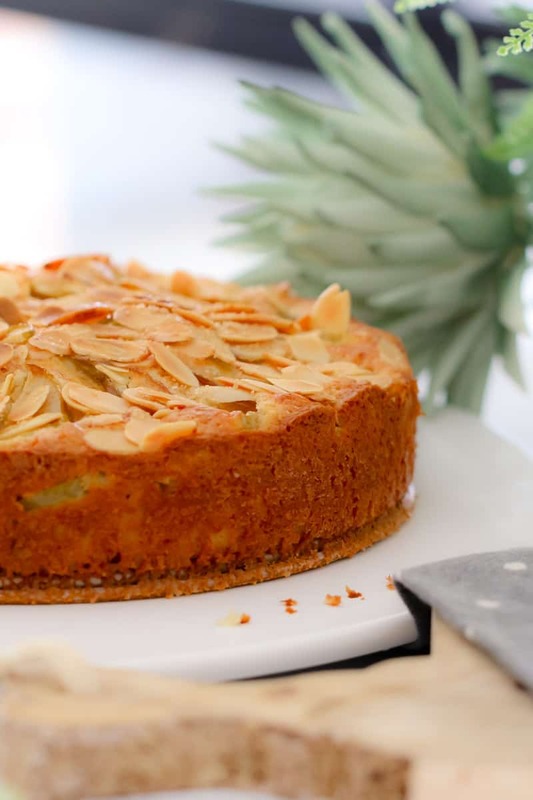 I like to top this cake off with a sprinkle of flaked almonds and a tiny bit of raw sugar – it just gives it the perfect finish (totally not necessary… but VERY yum!!). 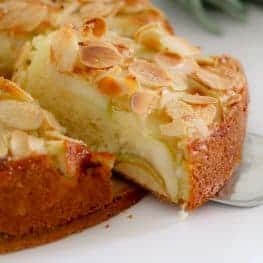 So if you’re after the perfect all-rounder cake that is absolutely fool-proof, this easy apple cake is for you!!! Well that’s it from me today! I really hope you love this super easy apple cake as much as I do! 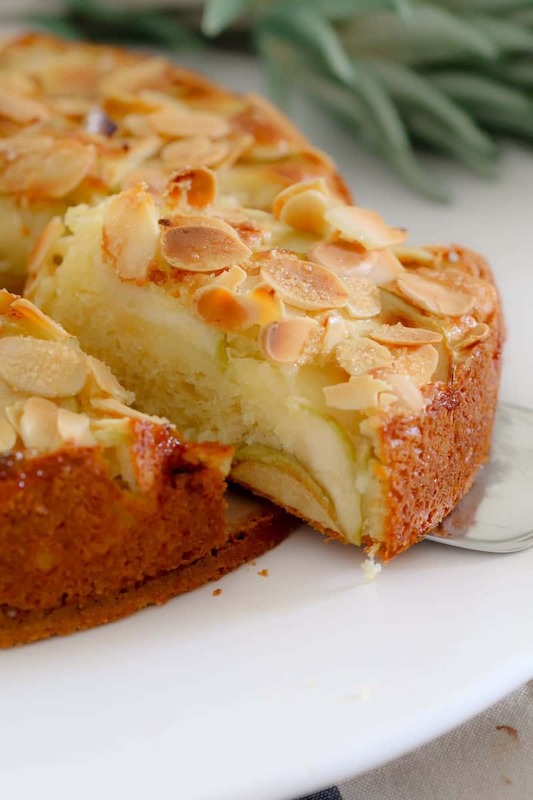 If you're looking for an easy apple cake recipe... look no further! 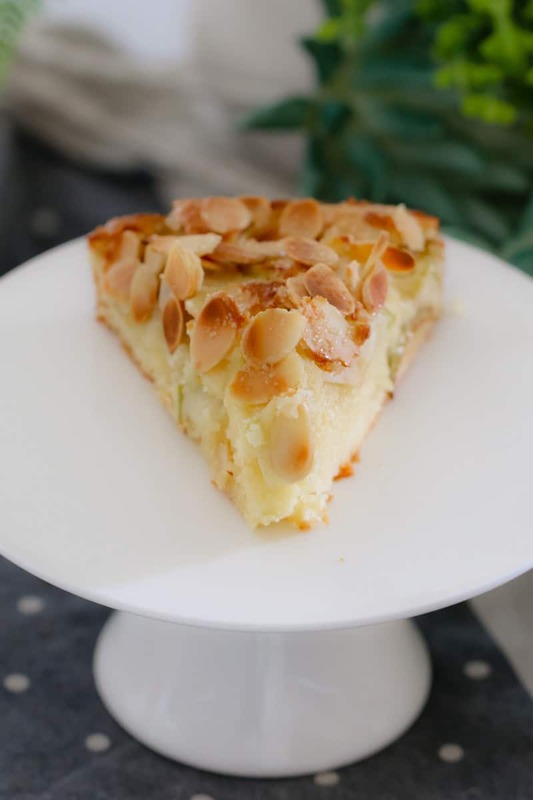 This one is a classic butter cake, layered with apple slices and topped with flaked almonds. YUM! Grease the bottom and sides of a 22cm springform pan. Line the base with baking paper. Beat the butter, caster sugar and vanilla extract until smooth and creamy. Add the eggs and milk and beat until combined. Sift in the self-raising flour and beat until just combined. Pour half of the the mixture into the prepared tin. Add a layer of the thinly sliced apples (half of them). Repeat with the remaining cake mixture and apple slices. Sprinkle over the flaked almonds and the raw sugar. Bake in the oven for 40-45 minutes or until the cake is cooked when tested with a skewer. Leave to cool in the baking pan for 20 minutes before placing onto a wire rack to cool completely. Serve on it's own or warm with a scoop of vanilla ice cream. Cream butter, sugar and vanilla extract together for 30 seconds, Speed 4. Scrape down the sides of the bowl. Add the eggs and milk and beat for a further 20 seconds, Speed 3. Add the self-raising flour and combine for 20 seconds, Speed 4.
the cake looks stunning.. have to make this for the School holidays..
Hi, I have it in the oven’, can’t wait how it turns. 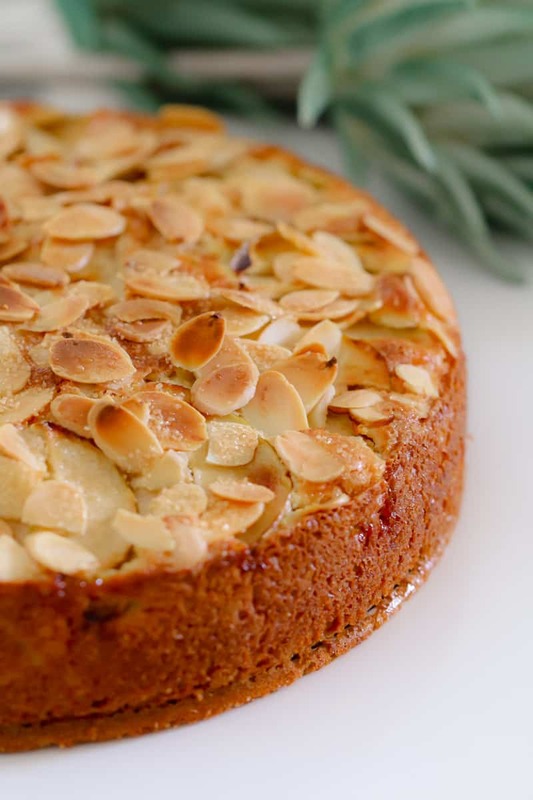 So is there layer of apples on top too n then almonds.? Another fab cake recipe. Made this one yesterday and I have to say my little Mr 3 year old apprentice devoured most of the apples before they got to the pan. Nonetheless the cake was a hit with my four munchkins and was devoured with a warm milo for afternoon tea. I made this last night. I made a small change, instead of butter I used oil. It turned out perfect. The apple slices still had the crunch on the top layer and the cake itself was very moist and flavorful. Loved it! Will certainly be making again soon. That’s so great to hear! So glad you enjoyed it!